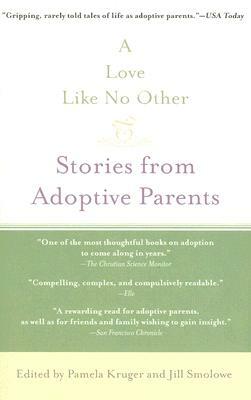 Drawn from personal experience, these stories offer vivid and beautifully rendered snapshots of the adoptive parenting experience. Featuring: Marcelle Clements, Laura Shaine Cunningham, Christina Frank, Jesse Green, Melissa Fay Greene, Doug Hood, Pamela Kruger, Jenifer Levin, Antoinette Martin, Jacquelyn Mitchard, Adam Pertman, Emily Prager, Amy Rackear, Bonnie Miller Rubin, Dan Savage, Bob Shacocchis, Jill Smolowe, Sheila Steinbeck, Joe Treen, and Jana Wolf. Pamela Kruger is a writer and editor whose work has appeared in The New York Times, Fast Company, Parenting, Redbook, Good Housekeeping, The International Herald Tribune, and The Wall Street Journal. She is currently a contributing editor at Child magazine. She and her husband have two daughters, Emily, seven, who is their biological child, and Annie, now two, whom they adopted from Kazakhstan when she was six months old. They live in New Jersey. Visit Pamela Kruger's Web site at www.pamelakruger.com. Jill Smolowe is the author of the adoption memoir An Empty Lap: One Couple's Journey to Parenthood. An award-winning journalist, she is currently on staff at People.